In a customer’s computer, the following error appeared in device manager: the Sound Card (Realtek AC97) was marked with an exclamation mark and at the device properties, the following error appeared: “Windows cannot load the device driver for this hardware. The driver may be corrupted or missing. (Code 39)”. Error 39 mostly occurs after the installation of Logitech USB Webcam drivers. The solution below contains step by step instructions on how to resolve “Error Code 39” in your Sound Card. The solution works perfectly in Windows XP OS, but also works in Windows 7 or Windows Vista OS. How to solve Sound Card Error Code 39 or Code 10. Before solving Sound Card errors using the steps below, download and install the latest drivers for your audio card from the manufacturer’s website and then check if your sound card is working. 3. From the Services list in the right pane, check if the “Windows Audio” service is “Started”. Double click to open “Windows Audio” properties and set the “Startup Type” to “Automatic”. 5. After the restart, check if your Audio card is working now, otherwise continue to resolve the error by following the steps below. Step 1. Delete Sound Card’s invalid registry keys. 3. At the right pane click to highlight the “UpperFilters” key. 4. Click the “Edit” menu and select “Delete”. 5. Perform the same action (Delete) with the “LowerFilters” key, if found. 8. Now check if your sound card works. If not, continue to Step 2. Step 2. Uninstall the Sound Card from device manager. 2. In device manager, double-click to expand “Sound, Video and Game Controllers”. 3. Right-click on the every Sound device found there and select “Uninstall”. * Notice. If Windows cannot automatically install the drivers for your Sound Card, then you have to download and install the latest sound card driver from the manufacturer’s site. « How to Disable Google Now notifications	» How to Transfer (Backup/Restore) Android SMS messages from/to Android phone. Thank you SO much, editing the registry worked after so many other failed attempts! Oh man! Deleting the registry key finally did the trick. Thanks so much! Excellent… First method did the job tnx. You are genius!…..i've been trying almost a month to fix the problem by many changing a lot audio driver and even renew windows OS….. This is amazing solving problem. Many many thanks!!! Spent hours on this trying so many different solutions all without success. It was your second tip (removing those settings from the registry) that made it work. Thank you very much. I spent so long installing and uninstalling various drivers without success but simply deleting the upper and lower filters worked. I finally have sound. Brilliant….Thankyou. After a week without sound on my gaming PC, I was tearing my hair out after trying everything. 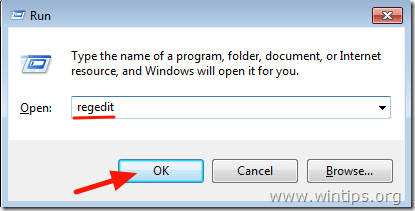 After I found this method, I was going to reset my PC to default if it did not work. I tried step 1 as it was something I hadn't tried, I gave it a shot, and I had sound again! I REALLY recommend using this method to fix your sound! Thanks so much!!!!!!!!!!!!!!! After months of having no sound and being told by someone who knows about computers that my sound card was dead. I almost gave up until I followed step 1. I finally have sound again on my laptop. Thank you very much!!!!!!!!!! After months of not having any sound and being told by someone who knows about computers, step 1 finally fixed the sound on my laptop. Thank you very much!!!!! The only thing that worked after hours of trying everything! Thanks so much! !